In 1996, California became the very first state in the country to legalize medical marijuana. Twenty years later, there are now a total of 29 states—and Washington, D.C.—that allow the use of marijuana for medical purposes, and of those, eight and the District also allow recreational use for adults. 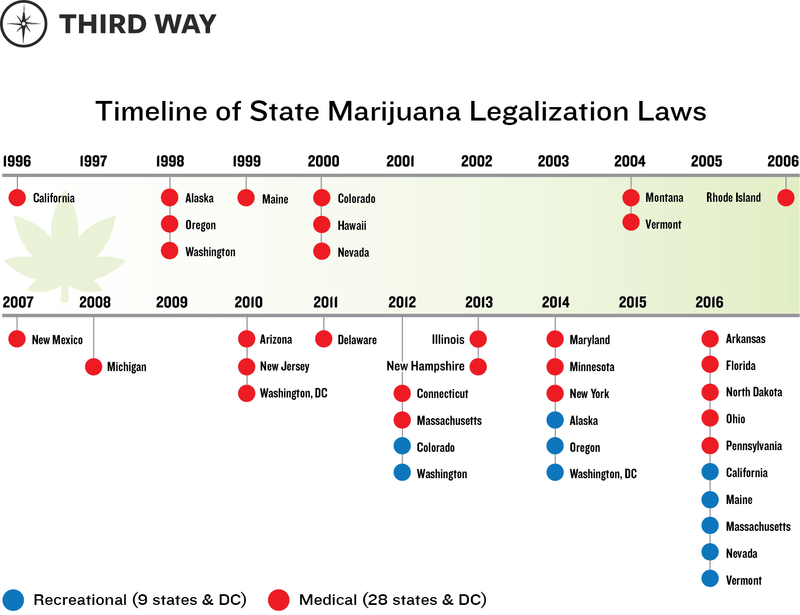 This timeline maps which states legalized marijuana when, and for what purpose(s)—and illustrates just how quickly both the policy and politics of this issue have changed in recent years.